From a construction site in sweltering south Georgia to an elegant English castle, a trio of Emory students is on a globe-trotting million-dollar quest this summer to address one of the world’s most urgent challenges — helping people find physical comfort in the face of climate change. 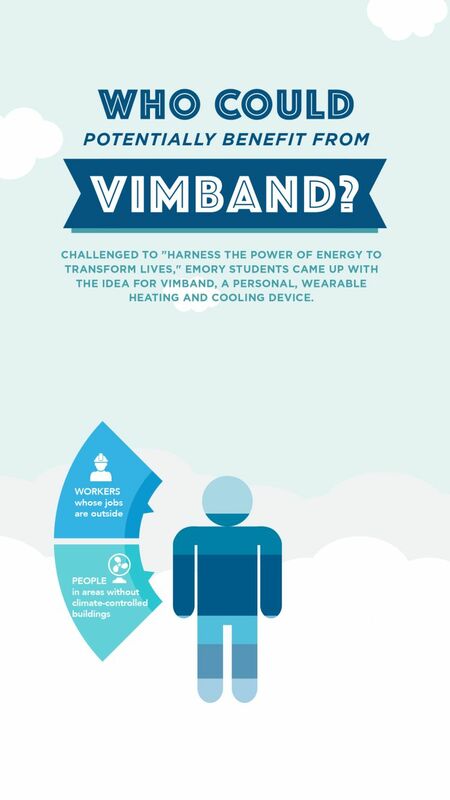 So instead of controlling the temperatures of large buildings or residences, the Emory team set their sights on a smaller, more efficient target — the individual. 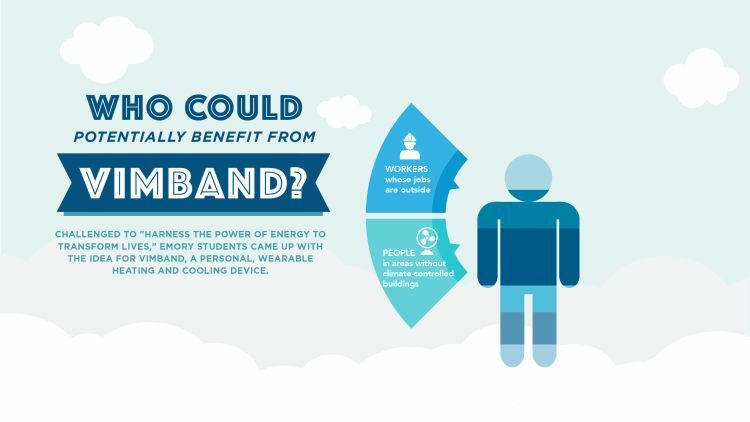 Together, they’ve created a prototype for a rechargeable device that essentially functions as a small, personalized heating and cooling unit. 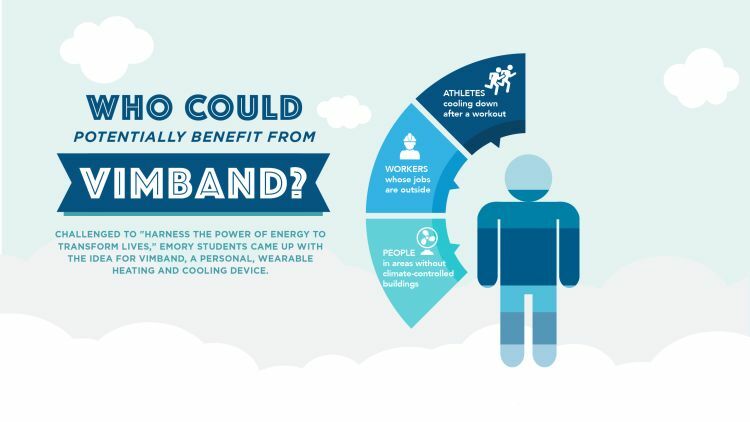 The compact box may be worn around the wrist, neck or head — pulse points on the human body near major arteries that play a critical role in regulating body temperature. 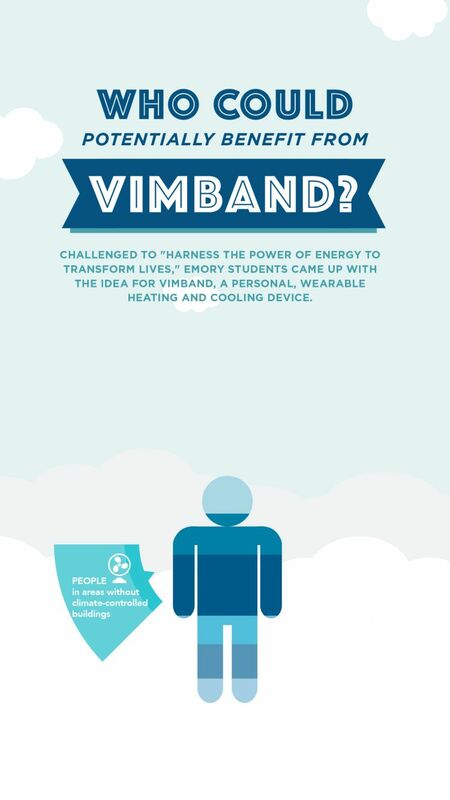 The Vimband was conceived and developed by Emory undergraduates James; Jesse Rosen-Gooding, a sophomore from Albuquerque, New Mexico, majoring in human health; and Kieren Helmn, a senior from Preston, England, majoring in business, in hopes of winning the Hult Prize, an annual business innovation challenge open to students around the world. 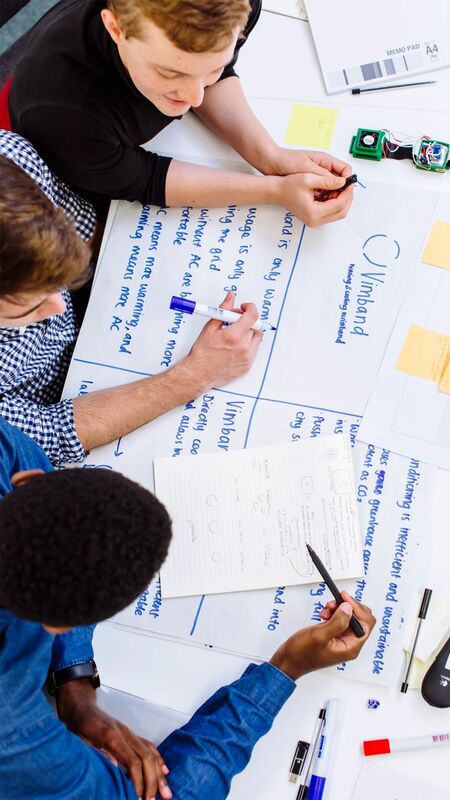 The competition’s charge: Create market-driven, socially conscious, sustainable business solutions for some of the world’s most pressing problems, especially those adversely affecting low-income communities. Sometimes called “The Nobel Prize for Students,” the annual Hult Prize competition draws student participants from colleges and universities in over 100 countries who pose solutions to issues ranging from education access and water quality to health care and the global food crisis. 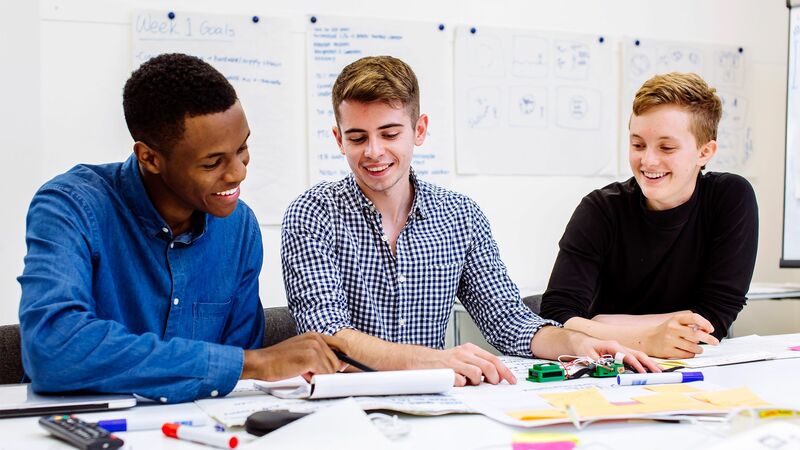 This year’s Hult Prize theme is “Harnessing the Power of Energy,” and the winning team will receive $1 million in seed capital intended to help the students launch a company. 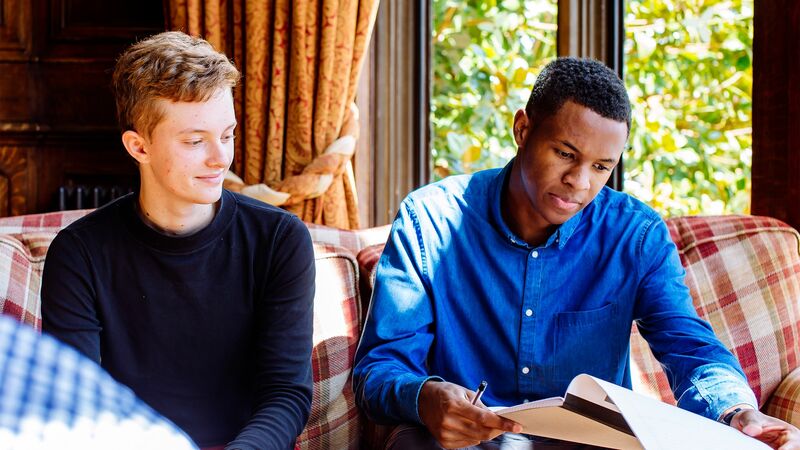 But first, teams must compete on local and regional levels for the chance to earn one of 50 spots in the Hult Castle Accelerator, an intensive six-week program held this summer at Ashridge House, a sprawling country estate northwest of London, England. 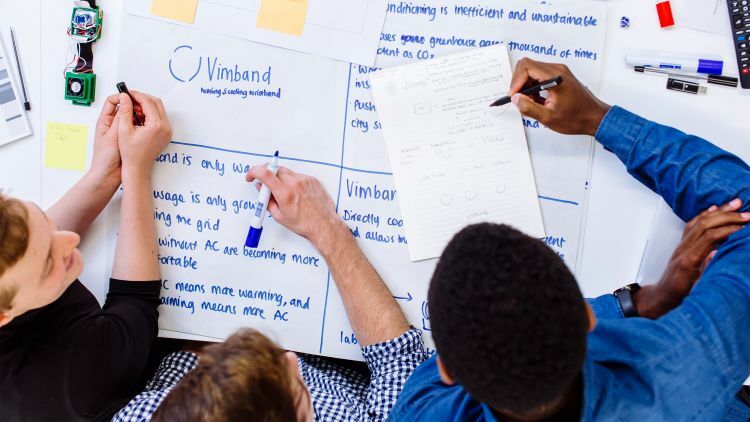 Working with mentors, investors and corporate partners, the accelerator immerses students in a rigorous curriculum to help transform their proposed solutions into actual startups. On Sept. 15, six teams will advance to finals held at the United Nations in New York City. 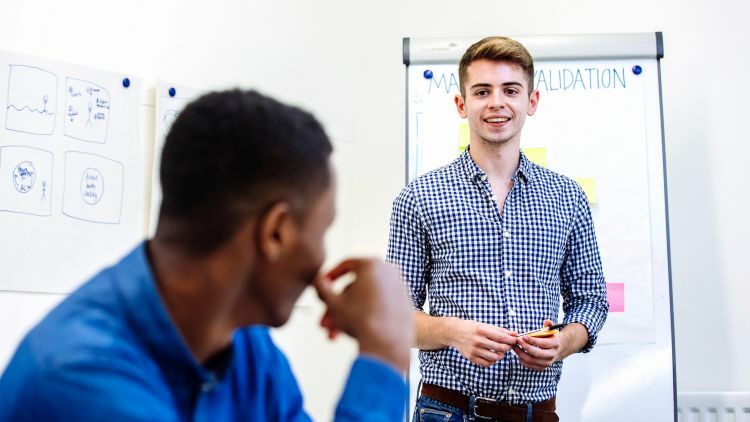 Though past campus teams have made it into regional competition, this marks the first time Emory students have progressed into the Hult Accelerator round — the chance of a lifetime to put their ideas into action. 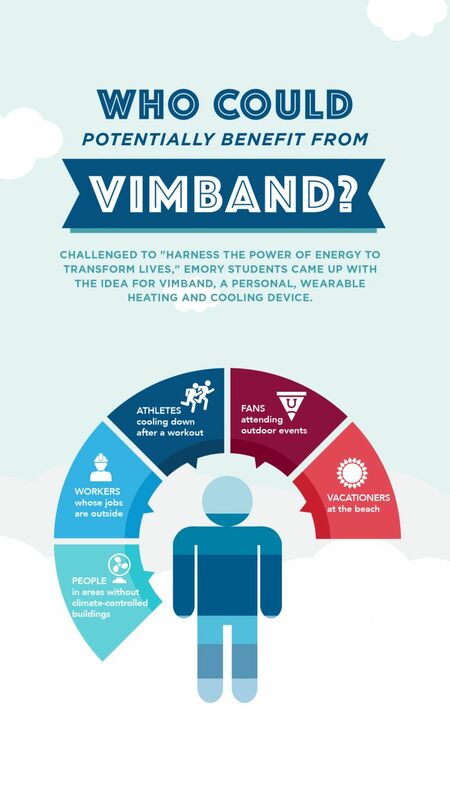 Life in the castle: The Vimband team recently took over Emory&apos;s Instagram for a day to give followers a first-hand look at life at the Hult Prize Accelerator. The journey to this year’s competition began with James, who’d heard about the Hult Prize during his first year at Emory. When this year’s theme was announced he was all in, floating an invitation over social media: Was anyone interested in starting a team? Rosen-Gooding and Helmn were quick to respond. All three students are Woodruff Scholars in Emory College of Arts and Sciences, and they initially met and began working together through the Emory Scholars Program. Given the broad theme for the Hult Prize competition, they knew their focus would have to be refined. And they didn’t have to look far for inspiration. “It was the best solution we could find that takes into account environmental stewardship while protecting the health and comfort of humans as temperatures rise,” he adds. 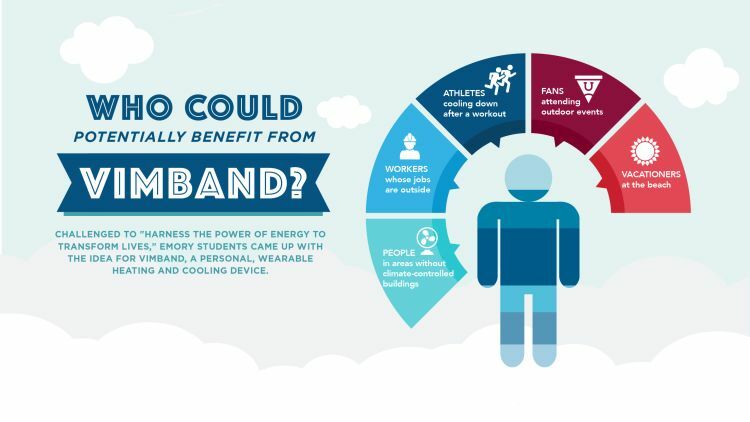 Early on, James had coined the name “Vimband,” borrowing from the word “vim” to project the sense of energy and vitality that he hoped those who use the device would feel. Over a few months, the trio took a deep research plunge, “all of us Googling away, trying to figure out a good solution — documenting this idea, that idea, types of materials, fans, the upsides and downsides of each technology,” Rosen-Gooding recalls. 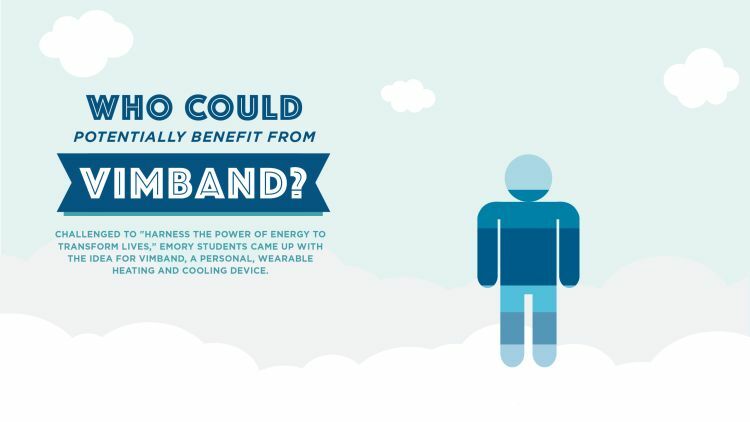 And although there are a few competing products on the market, the team felt they were more effective at warming than cooling. There was room, they reasoned, for improvement. 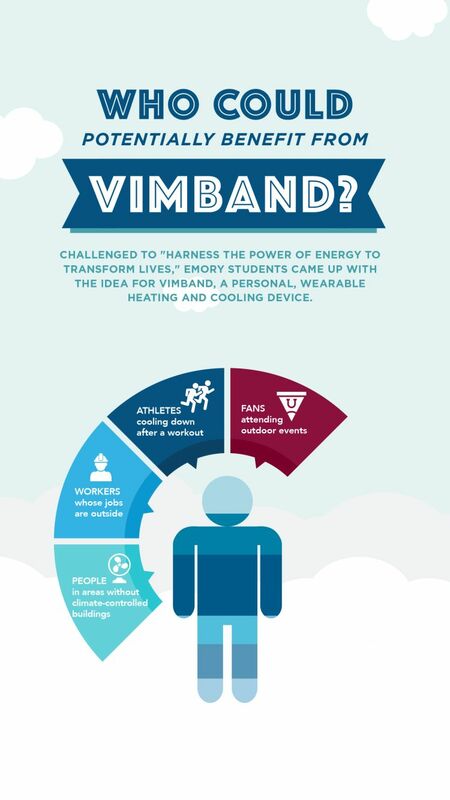 By last November, the Emory team had settled on developing a personal cooling device; by December they were feverishly refining a pitch to present that month at a local competition at Emory’s Goizueta Business School — a presentation that, at the time, would not include a prototype of the device. When the team won the first round and learned they would be heading to San Francisco in March to join about 60 teams at a Hult Prize regional competition, work renewed in earnest. 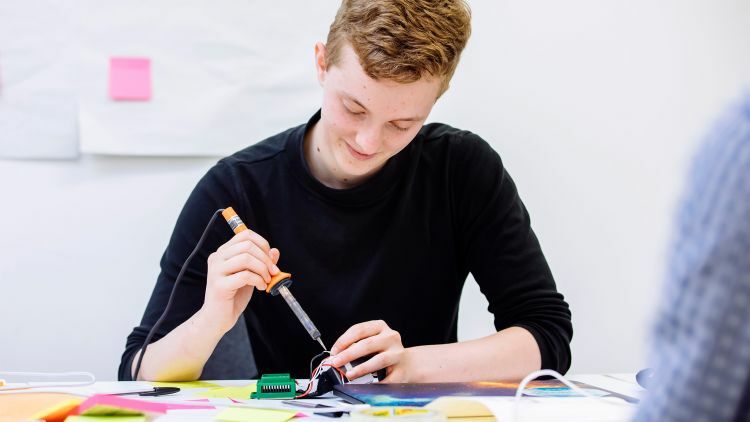 “We actually built our first prototype through MAKEmory (formerly the TechLab) in Cox Hall,” James says, recalling countless trips to Home Depot, a crash-course in sourcing silicone, and several failed attempts. But each failure carried its own lessons, and the campus lab offered the tools and expertise to keep moving forward. Using the lab’s 3D printer, the team created sample cases and components. For a silicone wristband, they employed a CNC (computer numerical control) carving machine. Soldering and electronics equipment allowed for the assembly of internal hardware. Reflecting upon their progress, the team credits the layers of multidisciplinary support, mentorship and expertise they’ve received from across campus, including Goizueta Business School, the Nell Hodgson Woodruff School of Nursing, Emory College of Arts and Sciences, the Emory Center for Ethics, the Division of Campus Life, and both the Office of Emory Provost Dwight A. McBride and the Office of Emory President Claire E. Sterk, which has made a significant investment in the project. 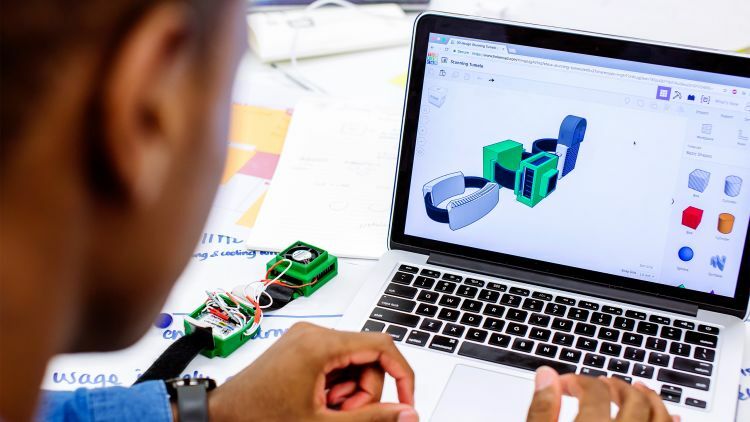 After winning several campus competitions — including the Siperstein Challenge and Emory’s Entrepreneurship Summit — the team headed to regionals in San Francisco. Upon arriving, one of the first people they met was Hult Prize CEO and founder Ahmad Ashkar. “We were one of the only teams with nametags on, so we stood out a bit,” James laughs. Later in the day, Ashkar would watch their preliminary pitch before a panel of judges, who offered enthusiastic feedback. After their pitch, the Emory team was swamped with congratulatory good wishes and people interested in their product. Buoyed by adrenaline and high hopes, they breathlessly awaited the final announcement — only to learn the winning team was from Florida. The Emory team had placed a close second, crushing news. 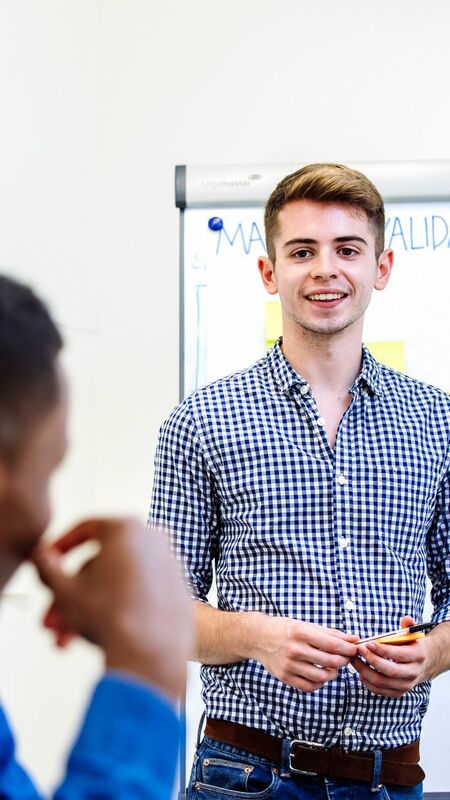 Yet Ashkar quickly approached them with a suggestion — apply to the Wild Card Round, which would pick an additional 10 teams to attend the coveted Hult Castle Accelerator. They agreed to one more shot, submitting an application on deadline. In May, a video was released naming Wild Card teams from around the world. There was a team from Jordan, and others from Iraq, Taiwan, Africa and Mexico. Amazingly, they also made the cut. 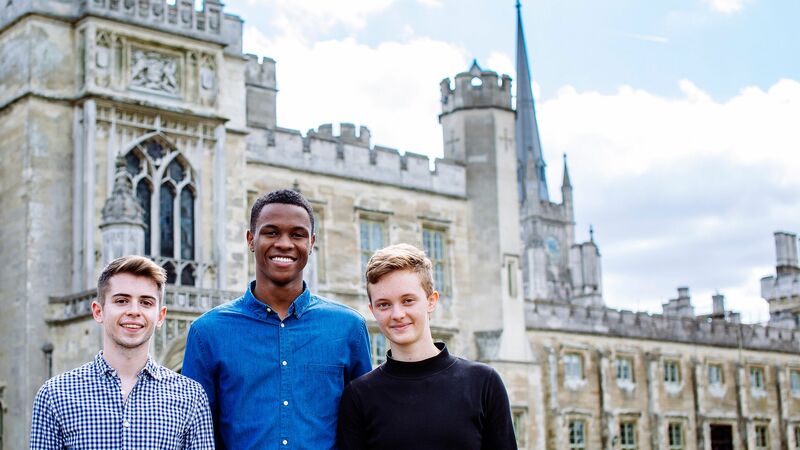 That’s how three Emory undergraduates came to spend six weeks of their summer in a castle — actually, the former hunting lodge for King Henry VIII, or so they’re told — receiving a first-hand education in social entrepreneurship. 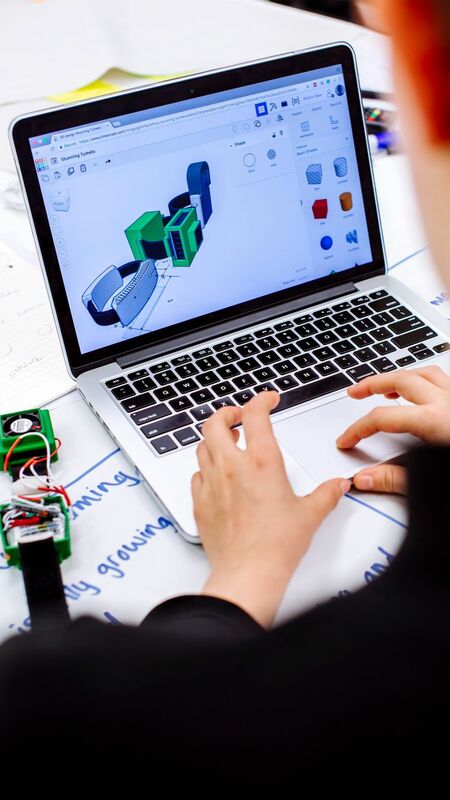 Since mid-July, their days have been filled with workshops, mentor meetings, networking, conversation, practice pitches and planning — a schedule both intensive and exhilarating. 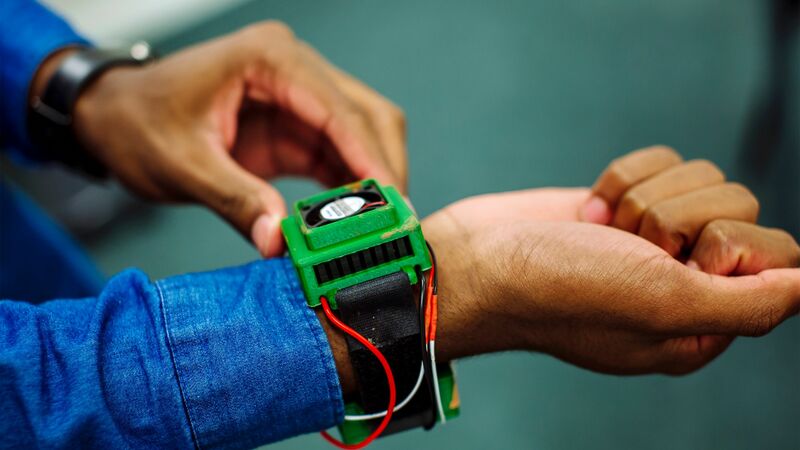 The team has also continued to work with Georgia Tech engineers to refine their prototype, and to collaborate with Emory faculty, including Valerie Mac, an assistant professor at the School of Nursing who studies the impact of environment and occupational health on vulnerable populations. 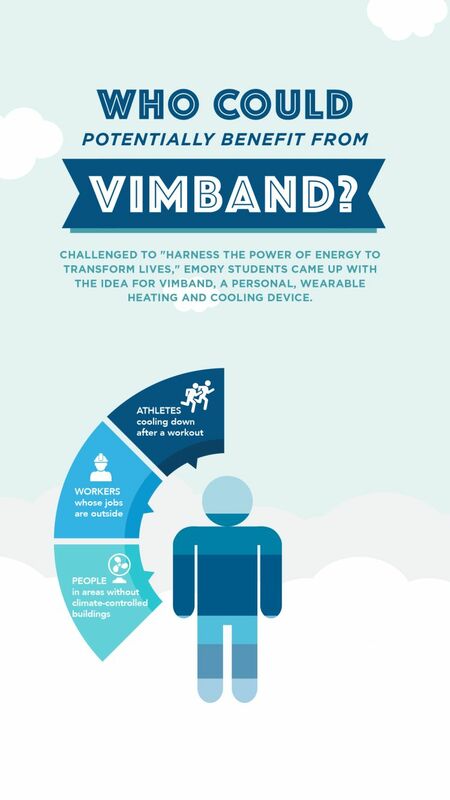 Earlier this summer, the team worked with Mac to help design study protocol and surveys to measure the Vimband’s effectiveness on construction workers laboring in 90-degree-plus heat near Plains, Georgia. 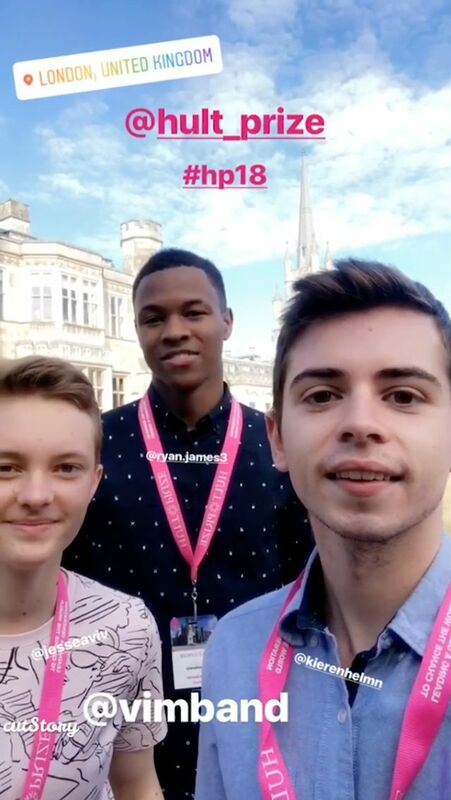 James and Helmn accompanied her there to support the enrollment of participants, whom Mac tracked for a week, measuring skin temperature, heart rate and activity levels for 16 male and female pipe layers. 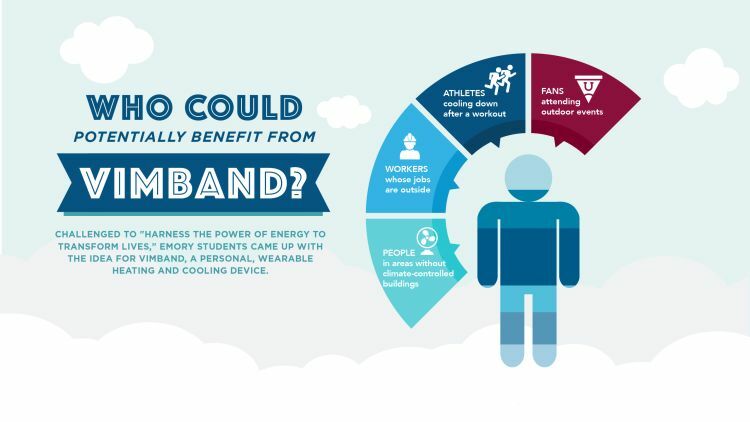 In addition to collecting biometric data, Mac also interviewed subjects about the Vimband’s perceived comfort and utility. “It is very motivating for me to work with students who really want to have an impact and are integrating business, technology, research and public health,” she says. 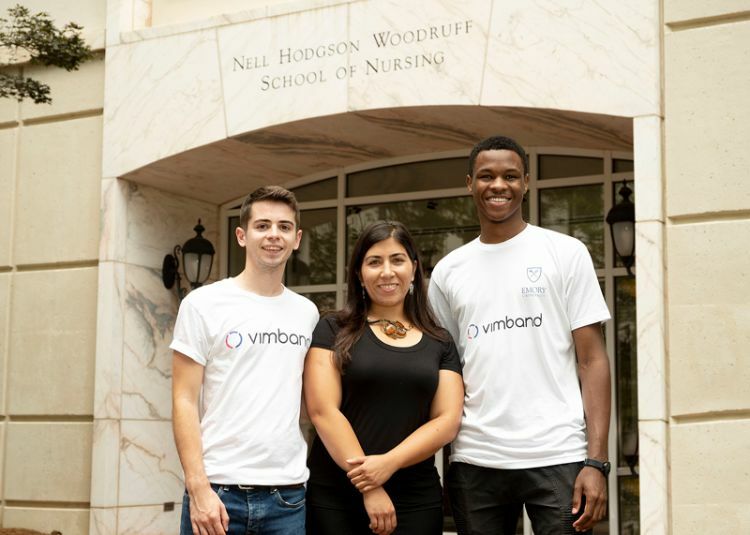 Vimband team members Kieren Helmn and Ryan James pose with Valerie Mac, an Emory assistant professor who studies the impact of environment and occupational health on vulnerable populations. Photo by Scott King. Wesley Longhofer, assistant professor of organization and management at the Goizueta Business School, is among a handful of Emory faculty who’ve advised the team, and he marvels at their growth. Andrea Hershatter, the Goizueta Business School’s senior associate dean and director of the BBA Program, praised the team for their determination and commitment to ethical business principles. Employing a “cross-subsidy” business model, the team plans to first sell products in the domestic market. 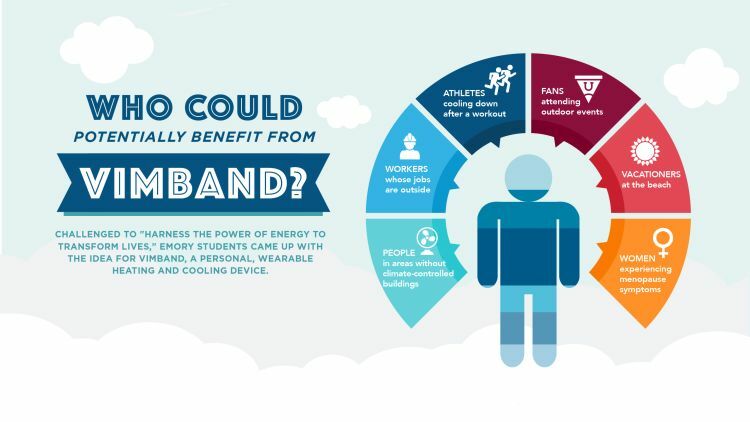 Some of their initial revenues will be used to make the Vimband more available and affordable for populations in poorer nations where people are more vulnerable to the effects of an overheating planet. Though the Hult Prize money offers a potent incentive, Emory team members say they’ve also been driven throughout the competition by a personal sense of social responsibility, nurtured by the supportive educational environment Emory provides for students pursuing their purpose and passions. James values the university as a living-learning community that nurtures student scholarship and creativity. “Emory is not a place where you only go to class and learn,” he says. Regardless of the outcome, the experience has already proven beneficial, and the team anticipates moving forward with production. The business connections, insights and exposure that they’ve gained over a matter of months at Emory might have taken years to acquire elsewhere. 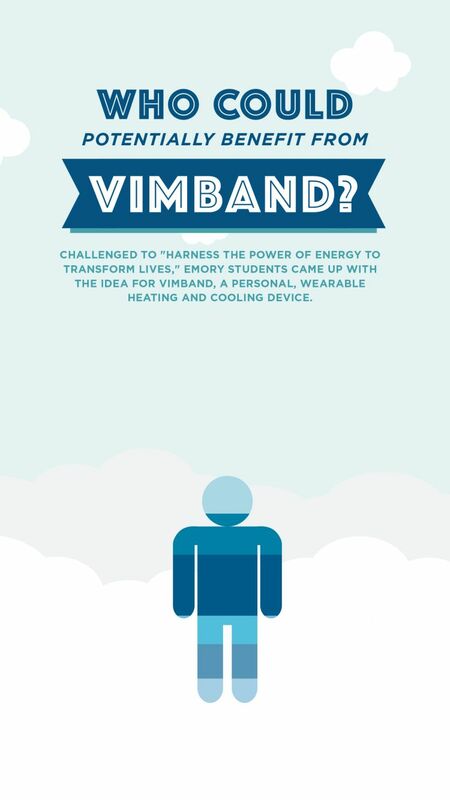 Vimband may be the first thing they’ve created together, he says. About this story: Campus Life consulting writer Lyle V. Harris and Emory Report senior staff writer Kimber Williams contributed to this report. Photography by Helen Yates unless otherwise noted. Graphic by Angela Vellino. 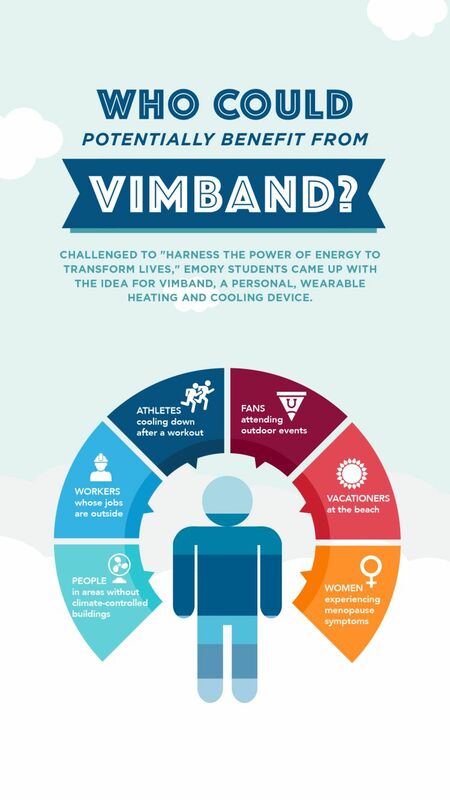 During the Hult Prize Accelerator, the Vimband team has time to focus on all aspects of their project, from design and construction to research and marketing.